DESOTO — Sometimes when you are out of joint and a massage won’t do the trick, the answer might be visiting your local chiropractor. In short, see a professional who has both the knowledge and the ability to make just the right adjustments to your health and well-being. 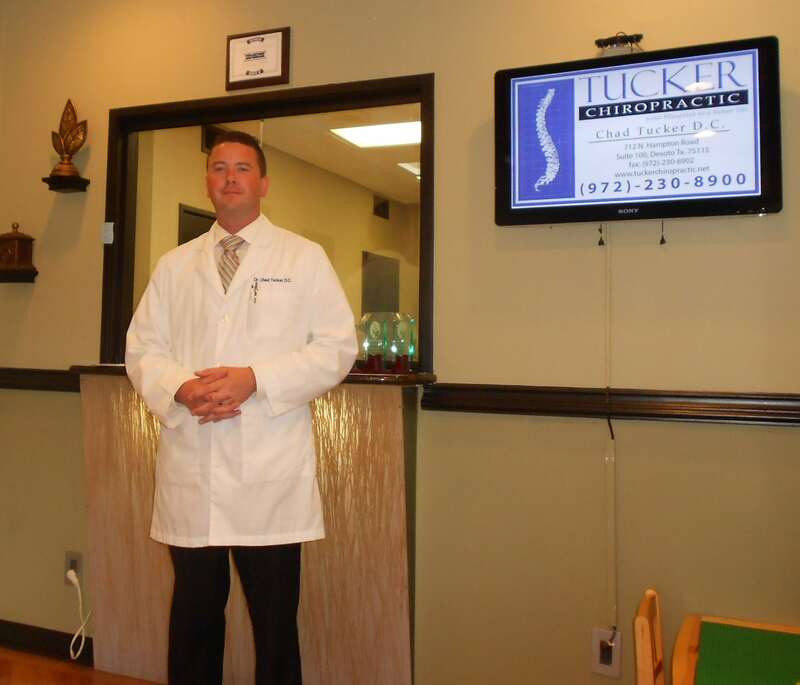 A professional, like Dr. Chad Tucker of Tucker Chiropractic can prove that your problem can be solved. He has been voted Best Chiropractor and Best Chiropractic Clinic several times over the years. He is now a “repeat winner” in the 2017 Readers Choice awards. Tucker says in his office they use a wide variety of techniques in order to provide the best care for each individual patient. Another recommendation: Shop different offices and meet the doctor. “A person should feel comfortable with the office and the doctor,” says Tucker. Tucker also says he would like to clear up some of the misconceptions about chiropractors. For example those who say ‘They aren’t real doctors’ are wrong. Indeed, Dr. Tucker’s patients definitely seem to feel right at home with him as they keep coming back. With his customers, he has destroyed the myths. After attending primary school in Red Oak, Tucker graduated from Parker University in Dallas in 2010. He then did a rotation at the Veterans Affairs Hospital in Dallas. Coincidentally, he is also certified by the American Veterinarian Chiropractic Association to work on animals and is a certified Kinesio Taping Practitioner. Staying busy community-wise too, Tucker is the current chair for the Health and Wellness committee, sits on the Board of Directors for the DeSoto Chamber of Commerce and Is a member of the DeSoto Rotary Club. Tucker opened his current office in September, 2011. It is located on North Hampton Road in DeSoto, just one block south of Pleasant Run Road across the street from the Dairy Queen. Tucker says his practice has grown immensely since the move.